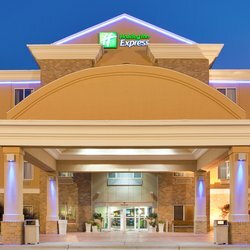 Whether you are coming to Kearney for business or pleasure, you can find all the comforts of home at this Holiday Inn Express® Kearney. 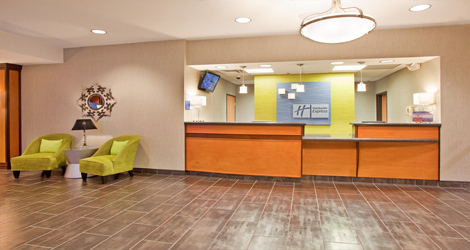 Besides top-notch services and amenities, we offer easy access to I-80 and one of the most convenient locations in the Midwest. 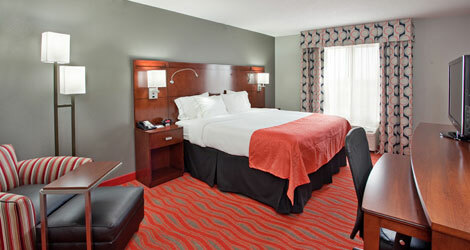 If business is the reason for your trip to Kearney, lodging with us is the ideal choice. 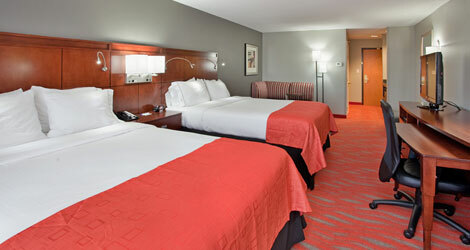 Our beautiful accommodations are near many area businesses, including Baldwin Filters, Eaton Corporation, Inter-Motion Manufacturing, West Pharmaceutical Services and Good Samaritan Hospital. 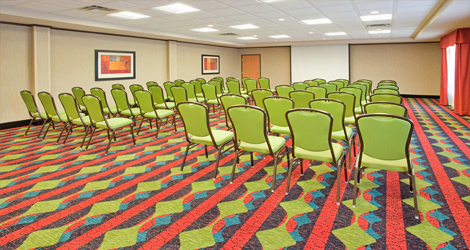 We offer convenient business amenities like free high-speed Internet access, a 24-hour business center and a 1,120-square-foot meeting room. 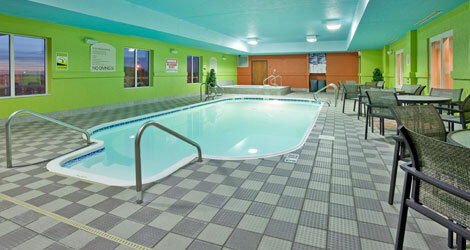 Leisure travelers appreciate the location of our Kearney, Nebraska hotel. We are just a short drive from local attractions, such as the Great Platte River Road Archway Monument, the University of Nebraska at Kearney, Fort Kearny State Recreation Area and the Museum of Nebraska Art. We’re also conveniently located less than a block away from the Viaero Event Center, home of the Tri-City Storm Hockey Team, the 2015-16 Clark Cup Champions. 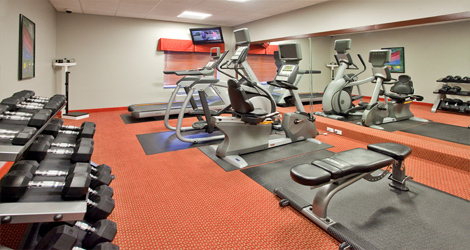 Guests staying here enjoy a number of comfortable amenities, like a heated, indoor pool and whirlpool, fitness center and a complimentary, hot breakfast bar, featuring our signature cinnamon rolls and pancake maker. 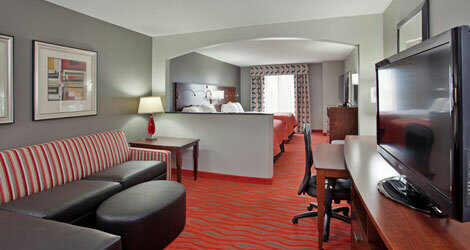 We feature a manager’s reception, Monday through Thursday, which includes complimentary beer, wine and hors d’oeuvres. If you’re still hungry after that, head on across the parking lot to Skeeter Barnes restaurant, serving up generous portions of real, Nebraska barbecue. 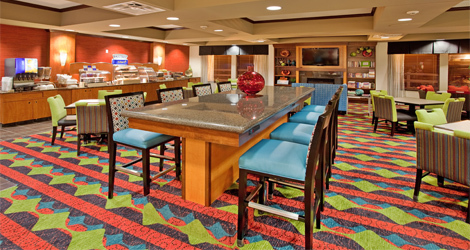 Whatever the reason for your trip to Kearney, Nebraska, our hotel is sure to have exactly what you need for a carefree stay. Angus Burgers and Shakes is Kearney’s newest burger specialty restaurant. Travis & Sara Evans of Sozo Restaurant, serve as the executive chefs and managing partners of Angus Burgers & Shakes. 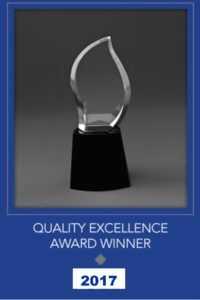 Providing exemplary service in conjunction with the highest quality products to create a unique and memorable hospitality experience is the goal of the Evans’. 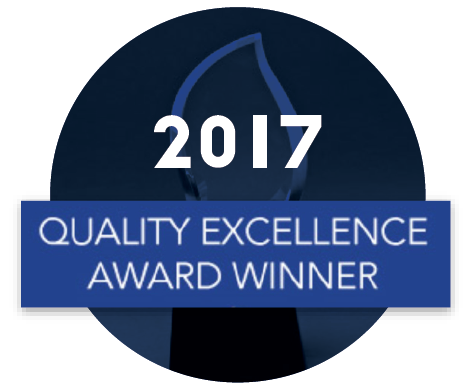 In accordance with their desire to focus on local produce, Angus Burgers & Shakes will proudly serve beef from Nebraska Star Beef in Holdrege. 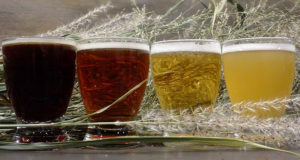 A full bar will feature cocktails and both Nebraska and regional beers. The restaurant seats up to 90 in the dining room, 36 in the bar and 12 seats outside. It is open from 11 a.m. to 10 p.m. Monday–Thursday and from 11 a.m. to 11 p.m. Friday–Saturday. The bar will be open late every night of the week. 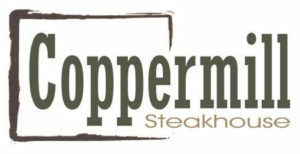 Coppermill Steakhouse is Kearney’s newest steakhouse and lounge. 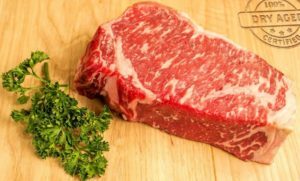 Coppermill will serve premium, choice, prime and dry-aged steaks. Additionally, they will feature fresh sea food flown in two-to-three times a week and a raw oyster bar. 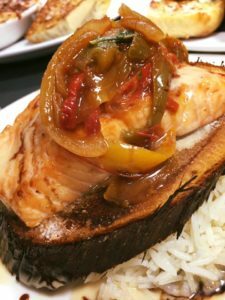 The two owners, Adam and Tyler, are coming to Kearney to express their true passions: Fine food from local producers, combined with an array of local and imported beverages, presented by great people to produce awesome experiences for all guests and employees. The steakhouse seats 180 people and features a small lounge and bar. The bar will serve high end whiskey, bourbon and scotch as well as mixed drinks and wines. The restaurant is open seven days a week from 3 p.m. to 10 p.m. On Sundays, the restaurant opens at 10 a.m. for brunch and closes around 2 p.m. The Buy Nebraska Store (A non-profit gift shop by the GROW Nebraska Foundation) moved to the Younes Campus Fall 2018. The gift shop features thousands of unique products from over 200 Nebraskans! From food, to home décor, to bath & body and apparel, we have what you are looking for! The Buy Nebraska Store is open Monday-Friday 8:30 a.m. to 8:00 p.m., and Saturday from 9:00 a.m – 6:00 p.m. The store will be open on Sunday’s by appointment only. Hours are subject to change during holiday hours. We are open 24/7 online at buynebraska.com. The GROW Nebraska Foundation was founded in 1998 by our current CEO, Janell Anderson Ehrke. Today, GROW Nebraska® Foundation serves over 400 Nebraska businesses. The program provides training to over 850 businesses yearly. GROW Nebraska® also annually hosts the premier Midwest Marketing gathering conference, MarkeTech at the Younes Conference Center across the street.